Cooler climate of the Finland, northern Sweden, and Iceland are competing with one another to attract computer industry behemoths for data storage. In addition to their cooler climate, some countries rub on their use of renewable energy sources or geothermal energy use. Google has converted a former paper mill near Helsinki, Finland to a data center. Facebook will built its first data center outside the U.S.in northern Sweden, closer to the Arctic Circle. 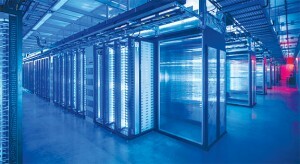 Iceland is the newest country to enter into the data center business. It converted a former NATO base in the southwestern tip of Iceland into a $700 million data center. Its advantage is that it can tap into a ready supply of geothermal energy nearby as well as cool climate which provides much needed cooling for the center. Instead of air conditioning that most of the data centers relying on, the Verne data center is relying on the area’s cool climate reducing greenhouse gas emissions. It is also relying on the readily available U.S. market as well as its location between Europe and the U.S. They are in process of laying a cable under the sea to cater to the U.S. customers and Microsoft has shown some interest.